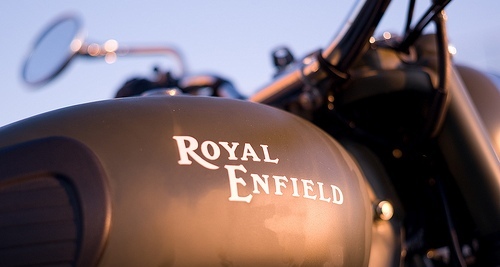 Indian Bike manufacturer Royal enfield has confirmed that it would be launching a new motorcycle , the Classic Chrome 500 in India soon. The company has not declared the exact date on which the Classic Chrome 500 will be launched. The Classic Chrome 500 is a stylised version of the available Classic 500. 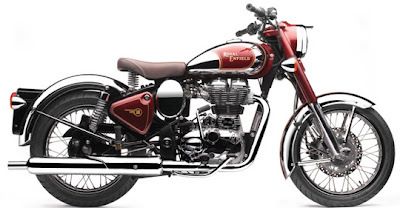 The new bike was first unveiled at the 2010Auto Expo and Indian motorists were waiting with bated breath for the Chrome 500 to reach the market. The Chrome 500 has already been launched in Europe and the USA. The Classic Chrome 500 from Royal Enfield as the name suggest gets loads of chrome on its body. The fuel tank, air box, front mud guard as well as the rear mud guard are all finished in chrome. The chrome finish will definitely add to the looks of the bike. While the export version are equipped with 18-inch wheels, the Indian version will get 19-inch wheels for better stability at high speeds. 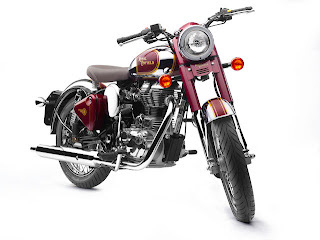 The technical specifications of the new version will be the same as the current Classic, with a 499cc engine producing the power of 27.2 horses and 41.3Nm of torque. Though the bike may not undergo any major changes a few minor changes will be seen. The overall length of the new Classic Chrome will see an increase of 30mm over the former variant numbering to 2160mm. Unlike the old Classic which had 19” tyres in the front the new Chrome will see 18” tyres both in the front as well as the rear. In the rear, the 120/80 18” rubber will be replaced by 110/80 profiled 18” tyres. Other minor changes would include one millimeter reduction in the rear drum brake with a 152mm drum in the new variant as opposed to the 153mm in the old Classic and a one litre increase in the fuel tank capacity. will the "Classic Chrome" also be launched as a left sided gear - right sided break..?